Cleffa and Igglybuff are Pokemon GO’s newest creatures that hatch out of 2km eggs. Pichu and Togepi are relegated to 5km eggs. On top of that, three other new Pokemon are in Pokemon GO. 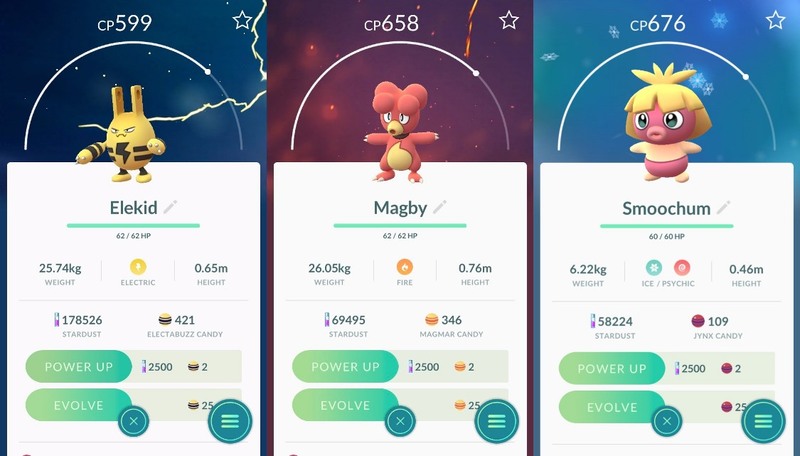 Elekid, Magby, and Smoochum appear to be the final new additions – for now. These ones hatch out of 10km eggs. Niantic will be adding more Pokemon from generation 2 over the next few months, but specifics are currently unknown.